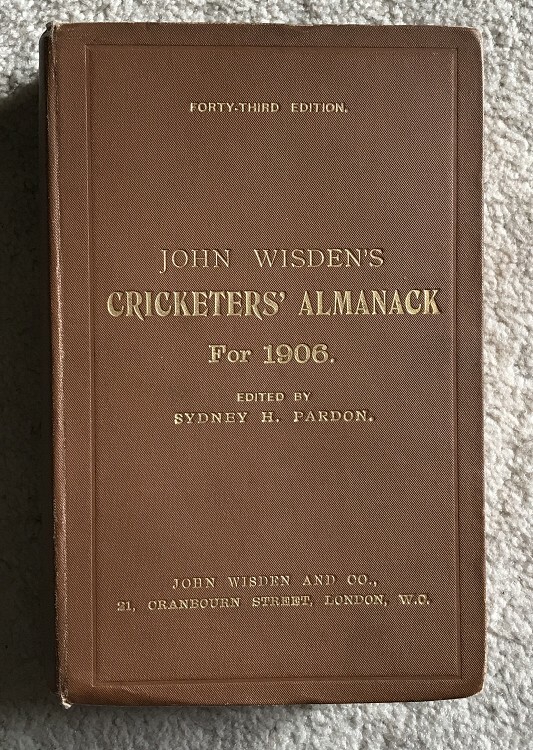 Here we have a rare 1906 Original Hardback Wisden, in Very Good Condition. The 11th Wisden Hardback. The boards are in very good conditon hardly a mark, just a small one to the spine cloth. The gilt is very bright indeed and the hinges are strong, superb inside. Excellent photoplate. A rare Wisden.